Home › Writing › In Print! 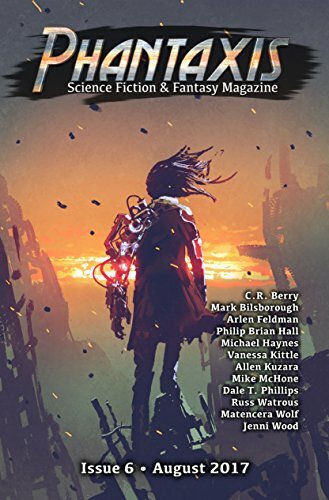 I just had a short story published in Phantaxis magazine! The story is called Playmates (as in childhood playmates, not the R-Rated kind!). I used to write a lot of fiction, but stopped for many years. As I now have a bit more free time, I’ve started up again, and this is the first piece that I’ve had published. I am about half-way through reading the issue, and there are some good stories in there. Mine is in there too! If you are interested, the magazine is available for sale at Amazon in print and Kindle formats. There is also a special deal this weekend (August 18th – 20th, 2017), where you can get the Kindle edition for the low low price of free! Congratulations on making your mother proud of you.